On January 8, 2013 – David Bowie’s 65th birthday, all media hell broke loose as the seemingly vanished star released a video as a precursor to a new album. “Where Are We Now” was an elegiac ballad [with a disturbing video] that recalled the time he spent in Berlin and juxtaposed it with the fall of the Berlin Wall a dozen years later. Bowie was back…back…back! And this time the rules had changed in his absence. Live performances, touring, and interviews were off the board. What we got were releases and a reinvigorated davidbowie.com [now finally capable of loading on the millions of mobile devices that weren’t even a twinkle in Bowie’s eye when it was last developed in 1998]. The [millions of] fans and press went wild as earlier detailed here. Bowie became paradoxically scarce, yet ubiquitous. He simply released his music, and apart from making videos to promote them, did nothing else, but his command of the media’s attention didn’t let up all year. This was The Second Coming of Bowie® and it was the story to beat after an eleven year layoff. Almost as noteworthy as the music itself, was the deconstructionist artwork by Jonathan Barnbrook; which played havoc with the iconic “Heroes” artwork. The full album was released on March 8, 2013, with a straight CD as well as a CD with three bonus tracks for a bit more each available. Amazingly, I decided not to run right out and buy either of these. Why? I could not help but notice that in the case of his previous two albums for Columbia, there were 2xCD “deluxe versions” of the albums released after the initial feeding frenzy. I felt justified in waiting this one out for a while longer. After all, I had already gone for a decade with no new Bowie music. What would a year or so more amount to? I did enjoy reading the stories about it. Tony Visconti had been blabbing all over the press about the NDA, the sessions held secretly in Bowie’s neighborhood. About how difficult it was for chatterboxes like Visconti or guitarist Earl Slick to keep it under their hats for a year or two while it was all secretly going on. 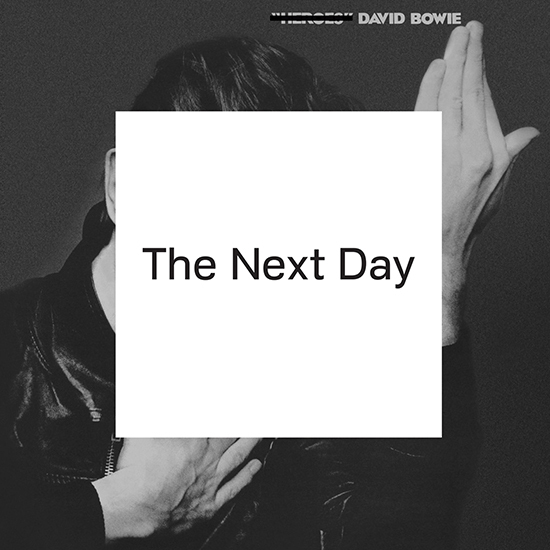 Apparently, much of the same band that had made his last album were re-convened to record “The Next Day.” Only the addition of bassmeister Tony Levin was new to the Bowie fold. By this time, Bowie had now completed his collection of King Crimson guitarists. When observing the cover, it brought to mind the original back cover to 1980’s “Scary Monsters [And Super Creeps].” On the rear of that LP, artist Edward Bell had included images of Bowie from the famous “Berlin Trilogy” that had been whitewashed over partially, giving the iconic images a tweak in a similar fashion. Surprisingly, when the Rykodisc CD appeared for this title in 1993, those desecrated images were removed from the cover art. The 1999 remastering re-instituted them, albeit in thumbnail size on the now mostly black and text back cover art. This entry was posted in Bowie, Core Collection and tagged 2013, David Bowie, The Next Day, Tony Visconti. Bookmark the permalink. Where Are We Now? gets me every time I hear it. There’s a beautiful mix of sorrow and pain with memories of an encouraging time gone by. By 2013, Bowie had become a master of looking both the forward facing and rearview mirror. WAWN?’s video completes the aura of the song as great complement to the lyrics. 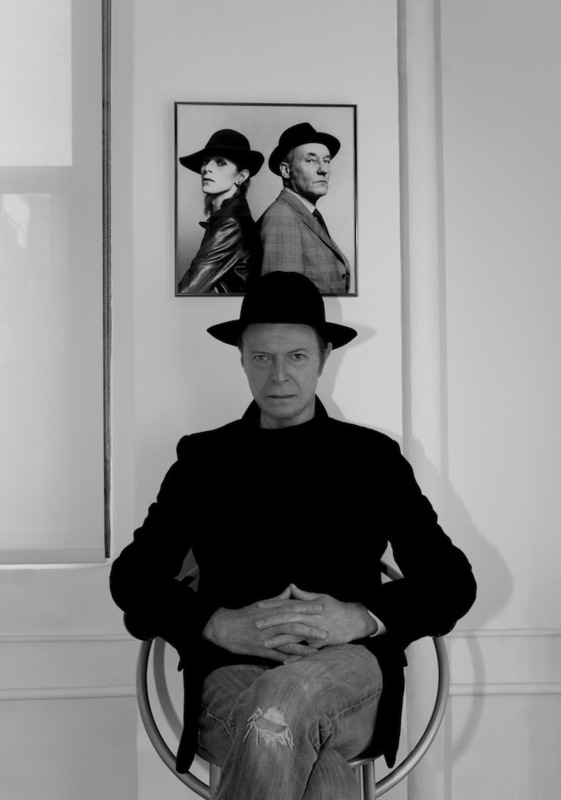 The near final image of Bowie leaning on the wall of his “memory room” is striking. Barnbrook’s cover is hands down one of the best album covers of the decade. It plays with the past and the present, reverence and disregard. The white block is like a flypost of the present Bowie over Bowie of the past, but with enough of the past still coming through. Much as I hate to disagree with Echorich (about anything), I’ve just never been impressed with Barnbrook’s work and this is no exception. While the idea is bold and fun and I do appreciate that aspect of it, I feel like a work as different as TND deserved its own identity, not the anti- of another identity. After the horror of the Reality cover, I was hoping for something that was really different and better, and didn’t get it. It was something different than expected, I guess, and didn’t hurt sales, so whatevs. I don’t want to get ahead of the forthcoming overview of the album, however, so I’ll just say that when I first saw the video for WAWN, I cried. I thought at the time that this song, and the forthcoming album — rather than the one that came after — was the goodbye letter. “WAWN” is a beautiful song, but had the morose overtone of a parting gift, a deathbed confession, and without hearing the rest of the album I was concerned that it was all going to have that funereal atmosphere. While mortality and death have been a constant theme often touched on in Bowie’s work, never was it brought to the fore more than here (until Lazurus, but again, let’s stay on track, as it were). Well done, slightly-younger me … that’s still a good description. If we needed a reminder that Bowie wasn’t always going to be with us, this was certainly the first bell that tolls for thee. It was a weird feeling, the joy of new Bowie music and the heartache of hearing (and seeing) someone in the process of summing up before the inevitable. chasinvictoria – If you are unimpressed by Barnbrook’s Bowie work [and I get that…] then surely his work for John Foxx [with and without The Maths] must be more up your alley? I am currently agog over releases like the “Burning Car” album which are currently rocking my world. Monk, I could have written your response to chasinvictoria like a clairvoyant! I love that The Next Day cover garners as much attention as the songs from fans. Echorich – I’m an artist who values conceptual value and abstract concepts as much [if not more so] than design and draftsmanship, so TND’s cover works for me. I also love how Barnbrook nails the late 70s Ballardian vibe for the Foxx releases. Of course, I would not balk at a design reflecting both the right and left brain values that I derive from art at the same time! To date, Barnbrook has not yet provided that. That he got people talking about Bowie’s return when the artist had decided to let just the music, design, and videos to do the talking for him showed that it was a success. I had the same reaction when I first watched the video – slightly embarrassing as I was sitting at my desk at work…. !